Yesterday, I tried "Glove break-in with hot water" of our company. 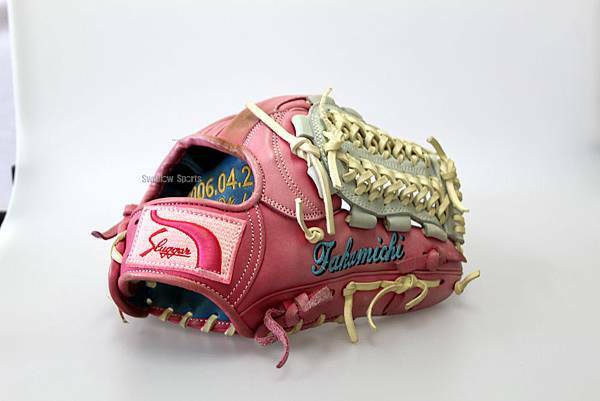 It tooks 4 hours and I've just finished break-in only 10 gloves. 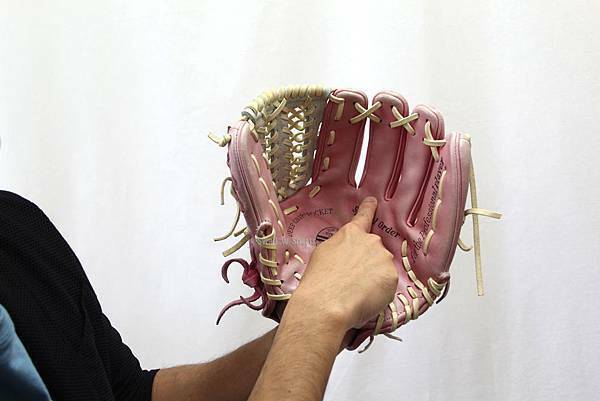 I respect him very much because he is finished break-in over 30 gloves every day. 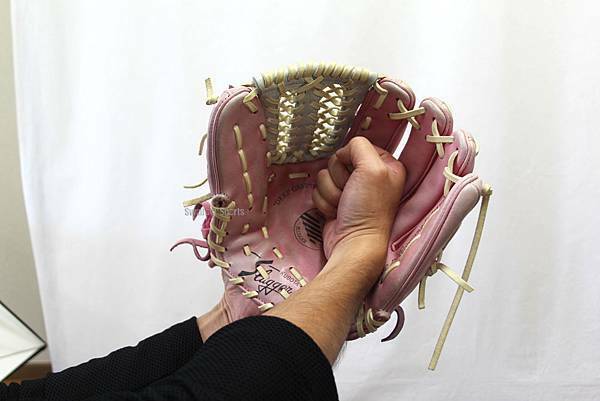 I want to introduce how to make basic model of the glove. Please refer to this Sentence by making basic models. 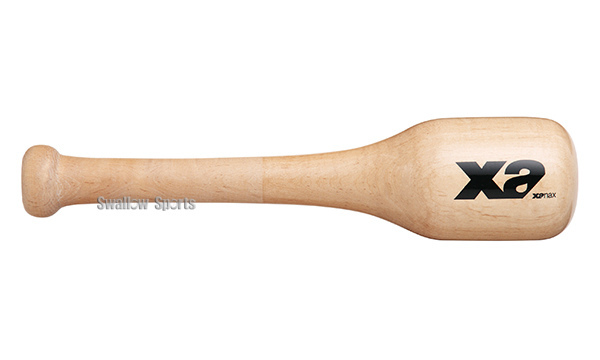 but　I thinks that it is completed more easily if you prepare an exclusive hammer. you can use your iron fist like me :D.
I introduce Cute pink one of the co-worker as a model today! 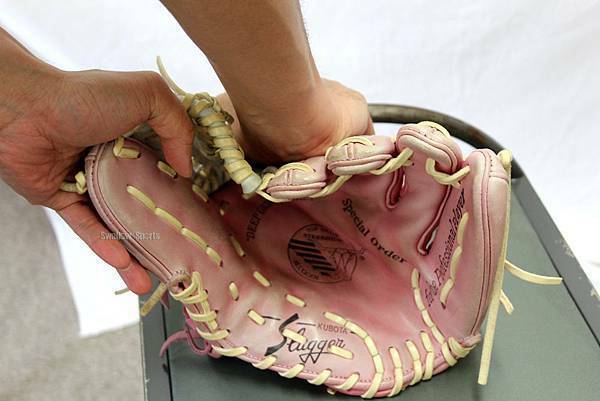 At first,we make it easy to open the glove. 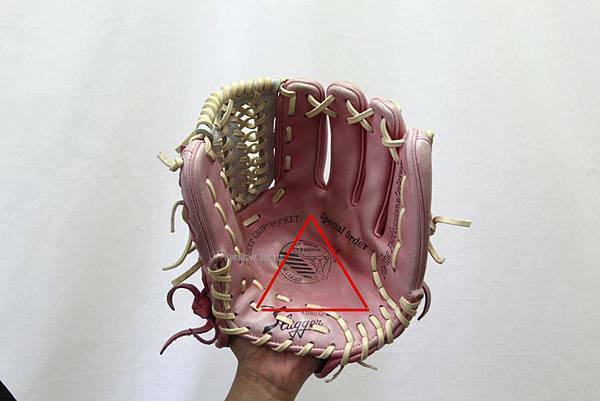 The core of the glove as above. Please prepare a strong chair, and Let's push the glove ! 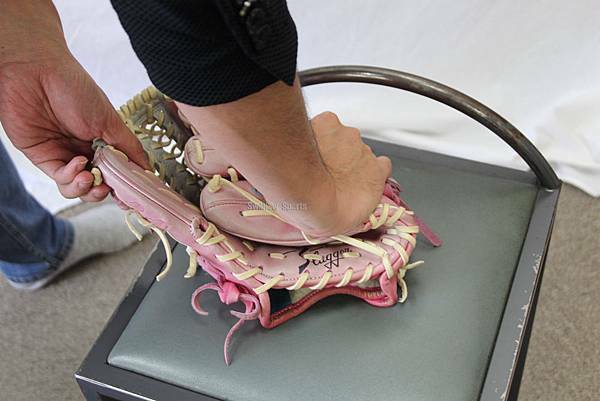 Until a glove becomes easy to easily open, push pull again and again. 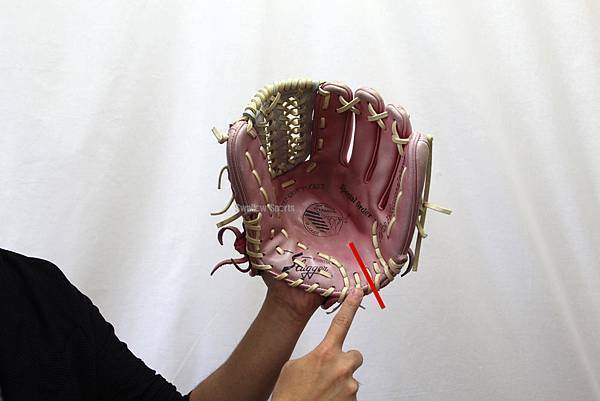 Let's arrange an angle and the softness of the part of the middle finger of the glove. 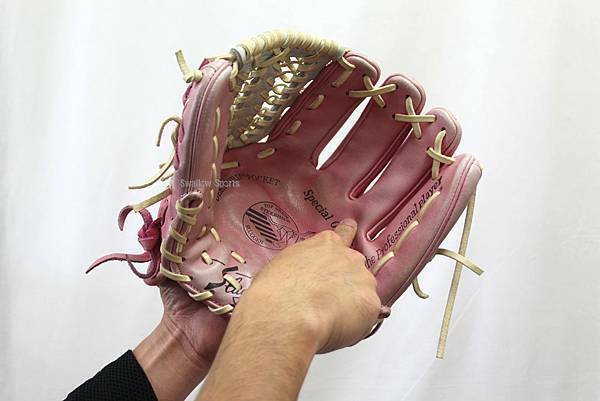 We push both sides of the glove, and let's make a beautiful "U" character type. 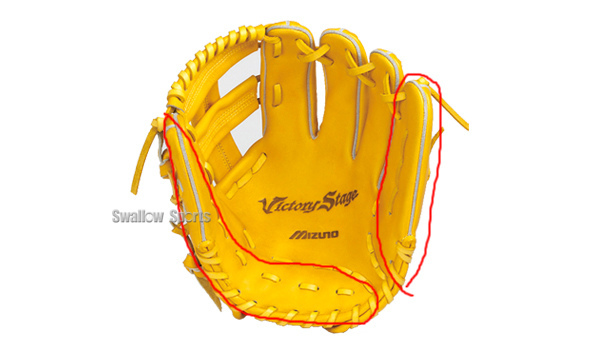 make area and the depth of the pocket of the glove. Please punch it in three places mentioned above! 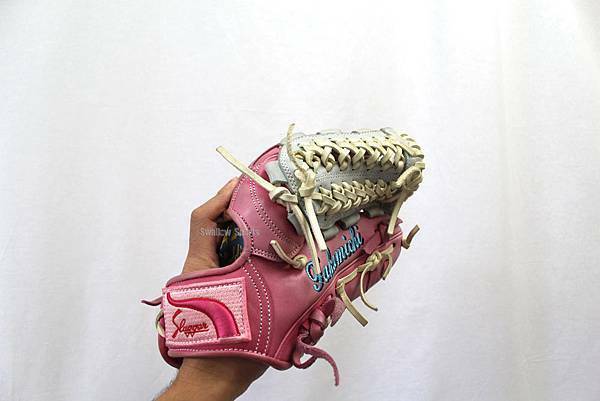 Let's give a glove and a hand and a coherence degree! Three angles of clean models are completed in this! the person who like this sentence. Please share this sentence and push "like"